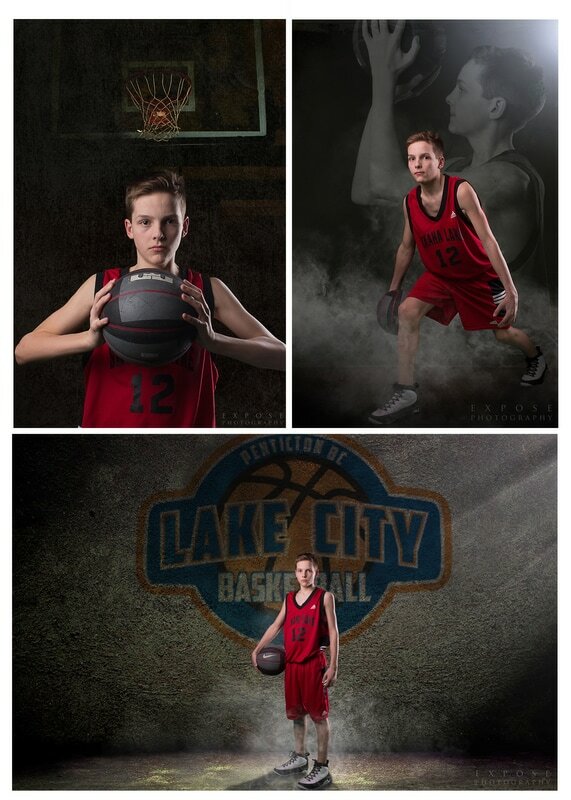 Lake City Basketball is excited to have Jackie Goodfellow of Expose Photography www.exposephotography.com as our program photographer. She will be photographing each team and player and will have photos available for purchase. Below is the schedule for photo sessions. Please carefully check to see what time your team will be photographed. -the make up day is specifically for any athlete that cannot make the original intended photo session times with their teams due to conflict. -Arrive dressed in your full uniform. -if ordering photos, please bring your completed order form and cash and hand directly to the photographer. During your designated photoshoot time, I photograph one athlete at a time on a first come, first served basis. Samples (see below) have been provided to give you a general idea about what each photo option entails. In the interest of keeping the price point down, you will not have the option to proof your photos before purchasing….HOWEVER, I guarantee all of my work and I do everything humanly possible to ensure that you are happy with your results. Please download the order form below. This order form is required even if you do not plan to purchase additional photos. If you wish to order photos please fill out the form with your personal requests.